There’s a great sale going on right now over at Tootsies in West Ave! Score the Sergio Rossi shoes above and a ton of other fabulous merchandise. 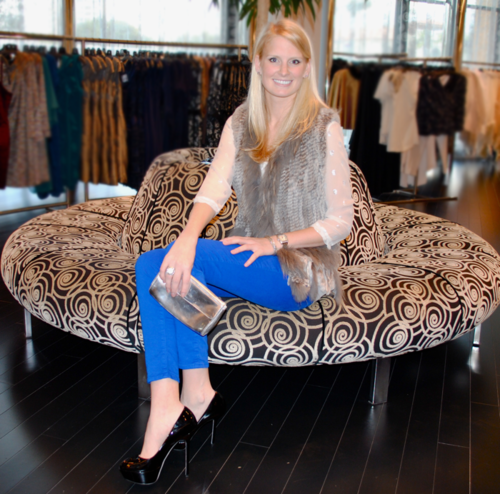 The fur vest, blouse and jeans are not discounted, but they are available at the store should you want to replicate the look! Take some time out of your Saturday or Sunday to check out these and other must-have pieces. Thank you for supporting Dolce Cabo, we love your blog!